GIF is most shared content on social media and web. People used to share GIF memes. There are various websites which use GIF content to make articles interesting. In past, I posted about Giphy, GIF search engine and tools to make GIF animations. There plenty of tools which lets you make GIF animations Today, I am going to share a cool Mac all called GIFGrabber. 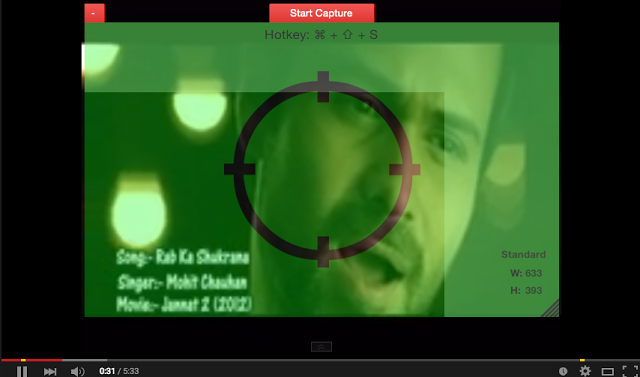 It lets to capture screen recording and convert it into GIF animations. This tool can be used to share short screencasting. Because you will never wish to upload screencasting of 5-10 seconds. So, GIF animation is best way of doing this. GIFGrabber is a free tool available in Mac app store. I added the download link at the bottom of the post. It is very small in size so installation will be very quick. Once it is installed, Open it. You will see its icon in top bar and a green capture window along with sniper scope. You can resize this capture window by drag and drop.See I was trying to capture a YouTube into GIF animation. Once you click on Start capture at the top side, it will start capturing the screen and this button will be replaced with a button “Stop capture” button. When you want to stop, click on “Stop Capture” button. And your animation will be saved. It will show a popup with all your recorded GIF. In this popup, you can also change the quality of GIF. Clicking on GIF will open GIF viewer where you can save, trip or upload GIF to GIFgrabber server. You can trim by giving start and end frame. 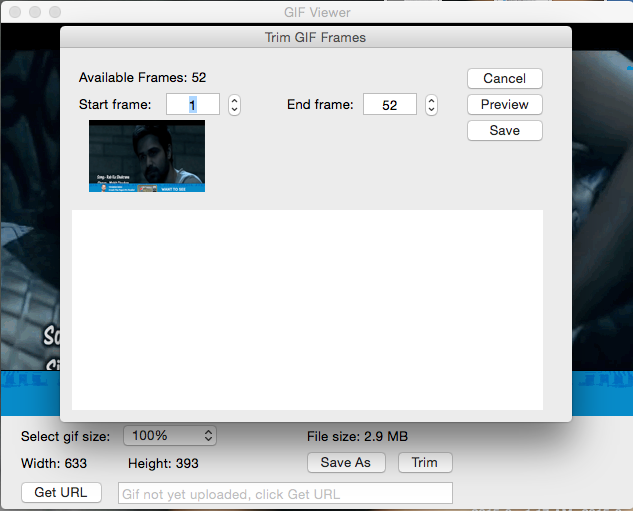 You can either save GIF on your system or upload it to the GIFGrabber server. Saving it to GIFGrabber server will give you the link of GIF. You can use this link to post the GIF on social media. See the below GIF which I captured with this tool. If you are Mac user, you can use this lightweight tool to capture GIF animations in your system. It works good and there is no complexity in using the tool. You can download this tool from the link given below. Do not forget to share your experience with the tool with us via comments.